It shows the need to share the things with friends and not to be greedy. A porcupine took all of Alfie's toys. new vocabulary you have to share your toys with your friends. Because the porcupine took all the toys and the boy went in kaboo land. I think someone else should read this book because it is funny and great to read aloud and listen to. 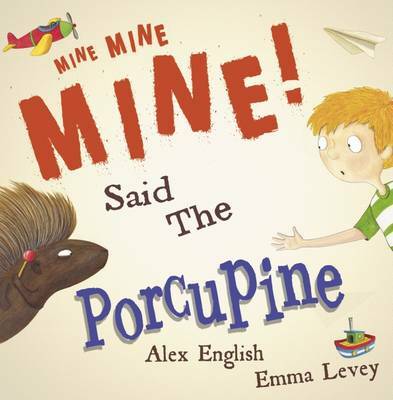 I liked how the porcupine learned not to say Mine! And grab things. Alfie was nice and wanted to share. Because they make great friends! I rated it a five because it was a very good book for children to learn how to share. It would also be very good to put in a library or to gat read at home by parents because it would maybe be a bit difficult for someone like the age of five and under to read. It is a fun way to learn how to share if you have just started school or are starting school. I read it as an 11 year old but I thought it was brilliant. I like this book because it shows you that you need to share. This book is about a porcupine who clearly and fully does not like to share his things and also other peoples' things too.